COLUMBIA, Mo. – The conclave of cardinals named Jorge Mario Bergoglio of Argentina as the new Catholic pope. Pope Francis, as Bergoglio will now be known, faces many challenges as the Roman Catholic Church deals with sexual and economic scandals, according to Rabia Gregory, University of Missouri assistant professor of religious studies. His influence on the Church will affect more than just the world’s 1.2 billion Catholics. 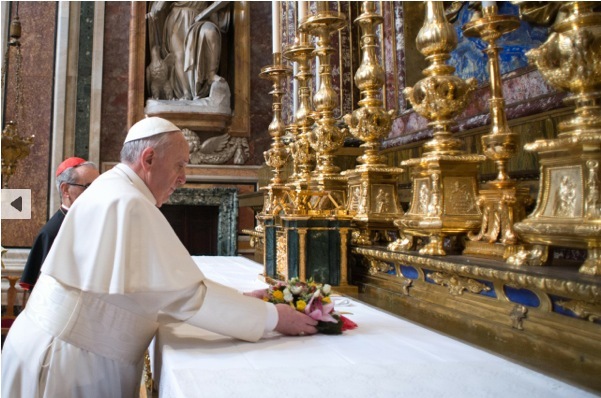 “As the first pope from the Western Hemisphere and the first Jesuit, Francis has already made history,” Gregory said. “The choice of the new papal name Francis, after Francis of Assisi, makes this papacy about rebuilding the church as well as about poverty and service." The electoral process used to select the new pope was very similar to the one used to choose Benedict XVI. However, the circumstances were very different this time, according to Gregory, and that may have led to the cardinals looking for a different kind of pope this time. The new pope will have tremendous power to shape the church, beyond the highly visible public proclamations and convening church councils, such as Vatican II, noted Gregory. “The new pope will also influence the shape of the church through decisions about funding and promotions, similarly to how a U.S. president wields the power to appoint Supreme Court justices,” said Gregory. The new pope will influence the lives of many who are not Catholic, according to Gregory. “For people who live in communities where prominent schools or hospitals are Catholic, in addition to obvious funding issues, the papal election matters in ways they might not expect,” said Gregory. Rabia Gregory is assistant professor of religious studies in MU’s College of Arts and Science. Her papers have been published in the journals Medieval Perspectives and Religions.